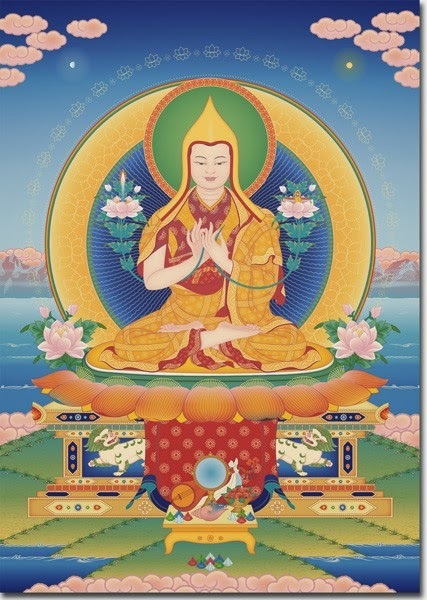 Je Tsongkhapa wrote the text "In Praise of Dependent Origination" (Available Here) the day after he realized Dependent Origination and Emptiness. forty, when he achieved his highest enlightenment experience. p.s. Thusness and I are also very impressed by the insights of Lama Tsongkhapa on anatta, +A and -A as described in "The Two Truths Debate" written by Dr. Sonam Thakchoe, a former Buddhist monk, trained in the Indo-Tibetan tradition for decades and holds the title of Archaya. The book also has a foreword by Jay Garfield. "Tsongkhapa does not hold the achievement of nondual wisdom as equivalent to the cessation of cognitive activity"
understanding is as follows. The cognitive agent experiences a fusion of subjectivity and its object, which refer here not to self and outside world but rather to elements within the meditators own psychophysical aggregates. 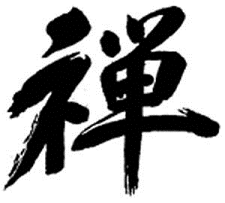 The meditator remains introspective, not engaging the outside world, but the outside world as such does not disappear. What occurs is instead a total cessation of the dualities between subject /and object mine, between thinker and thought, between feeler and feelings, between mind and body, between seeing and seen, and so forth.474 Initially a meditator perceives, for instance, that in each act of seeing, two factors are always present: the object seen and the act of seeing it. While each single act of seeing involves dissolution, the object seen and the act of seeing actually consist of numerous physical and mental processes that are seen to dissolve serially and successively.475 Eventually, the meditator also notices the dissolution of the dissolution itself. In other words, the meditator first realizes the fluctuating and transitory character of the five aggregates, which is then followed by the further realization of the aggregates as empty and selfless, and finally by the realization of the emptiness of even the empty and selfless phenomena. Nondual knowledge is thus arrived at, in Tsongkhapas view, through the direct experience of seeing the truths within one s own aggregates, rather than through being convinced of the truth of certain abstractions through rational argument or persuasion. Since the process here is a cognitive experience that operates entirely within the domain of ones own psychophysical aggregates, it is therefore an epistemic but not a metaphysical nonduality." the ultimate vantage point, on the other hand, nondual wisdom and ultimate truth “are free from the duality of act (bya ba) and object acted upon (byedpa).”524 In the nondual state even the cognitive interplay between subject and object appears, from the meditator’s point of view, to cease completely. (That is, conventionally speaking, as Je Tsongkhapa wrote in the Ocean of Reasoning, “The meaning of the statement that the conventional designation of subject and objects stops is that the designation of these two stops from the perspective of meditative equipoise, but it does not mean that the insight in meditative equipoise and the ultimate truth are rejected as subject and object. This is because their being subject and object is not posited from the perspective of analytic insight, but from the perspective of conventional understanding” (Garfield and Samten 2006a, p. 26)). "We can thus summarize our discussion of nonduality as follows. Tsongkhapa's account of nondual knowledge rests largely on the unity of the two truths and therefore of emptiness and dependent arising. The attainment of nondual knowledge, according to his view, requires an eradication of ignorance and other reifying tendencies, and does not require any metaphysical shift. More specifically, such attainment does not require the establishment of a metaphysical unity between subject and object nor the eschewal of conventionality." "As espoused by Tsongkhapa, ultimate valid cognition is transcendent wisdom in the sense that it is directed to the transcendent sphere—toward ultimate truth, supramundane or unconditioned nirvana—but it is nevertheless mundane in terms of its scope and nature. Transcendent wisdom still operates entirely within the range of the conditioned world—it is itself dependently arisen and does not imply a shift to a metaphysically unconditioned sphere. Only reality as it is given within their own five aggregates is accessible to yogis and knowable directly through their personal experience. The transcendence of the categories of prapancas is directed toward just such direct, personal wisdom. It is this wisdom, according to Tsongkhapa, that liberates beings from the obsession with conceptual elaborations such as those associated with the notions of an independent and substantial self— me and mine."